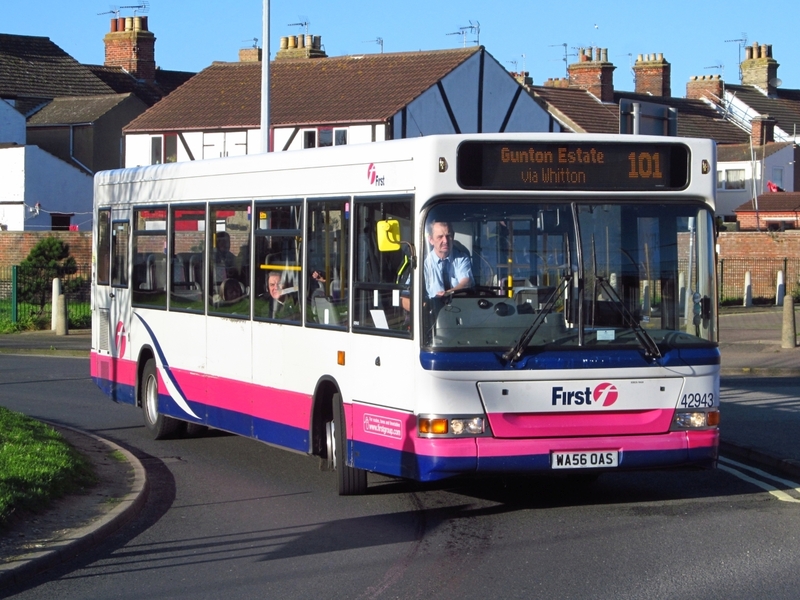 A few changes to some of our local bus services are contained in today's Notices & Proceedings Report published by the East of England Transport Commissioner. 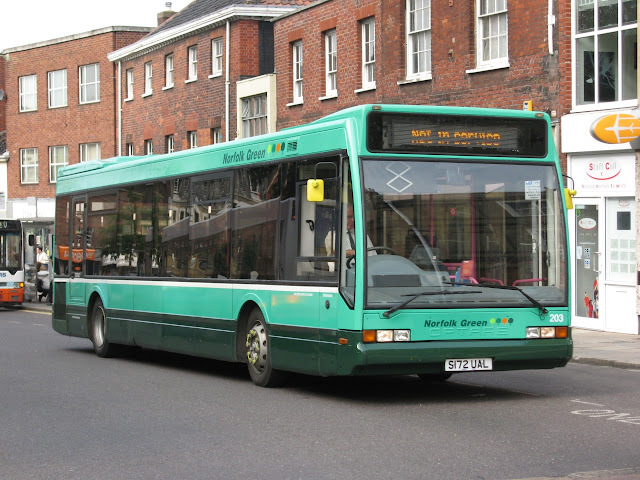 North Norfolk Community Transport is making changes to three of its services. 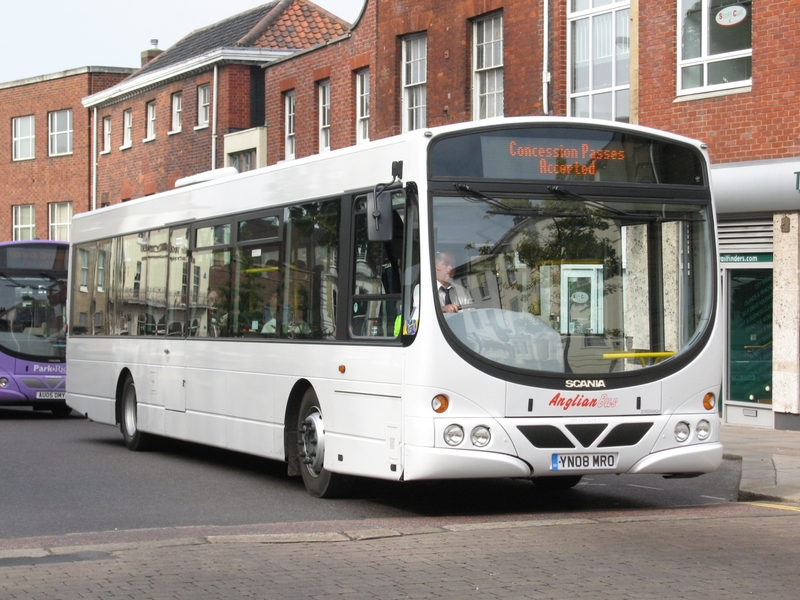 It is to vary the timetable and stopping places to its Route 2 between Tuttington Church and Aylsham Market Place plus its Route 7 from Aldborough Green to Roys Department Store in Hoveton. 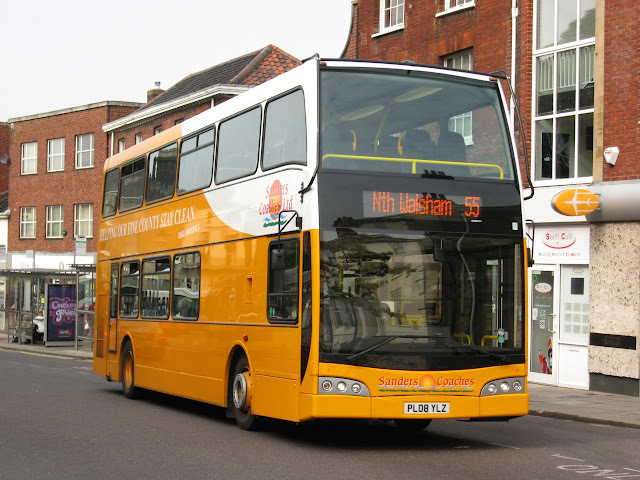 The third involves a change to its Route 8 North Walsham circular service. All three are effective from 21st March 2018. 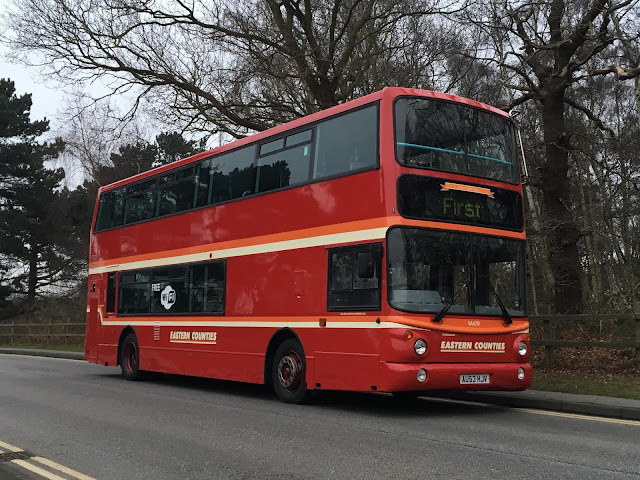 Under short notice, Anglianbus, operating as Konectbus, has amended the route, stopping places and timetable of its 87/88 service between Durban Close in Halesworth and Newmarket Road in Norwich from 29 January 2018. 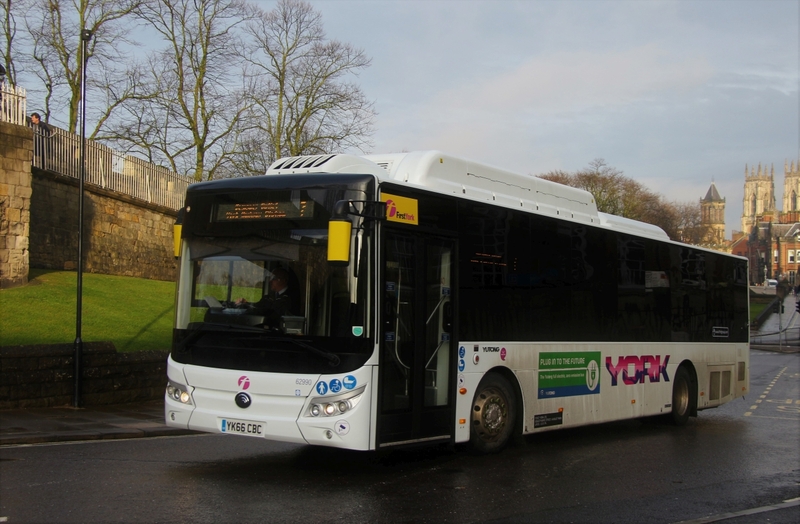 Also of interest is the recent change of route and timetable of the Norwich Park and Ride 500 service between Postwick and Norwich also from 29th January 2018. Stagecoach to Cease Kings Lynn Operation? Just in case you haven't seen the reports, Stagecoach has announced it is carrying out a review of its Norfolk operations. This includes the possibility of the closure of its Kings Lynn depot. The company is to work closely with Norfolk County Council to protect the local network as much as possible which also includes the Coasthopper services in North Norfolk. First has subsequently announced that from 3rd April 2018 it will be extending its Yellow Line service from Norwich to Fakenham to provide an hourly link six days a week. 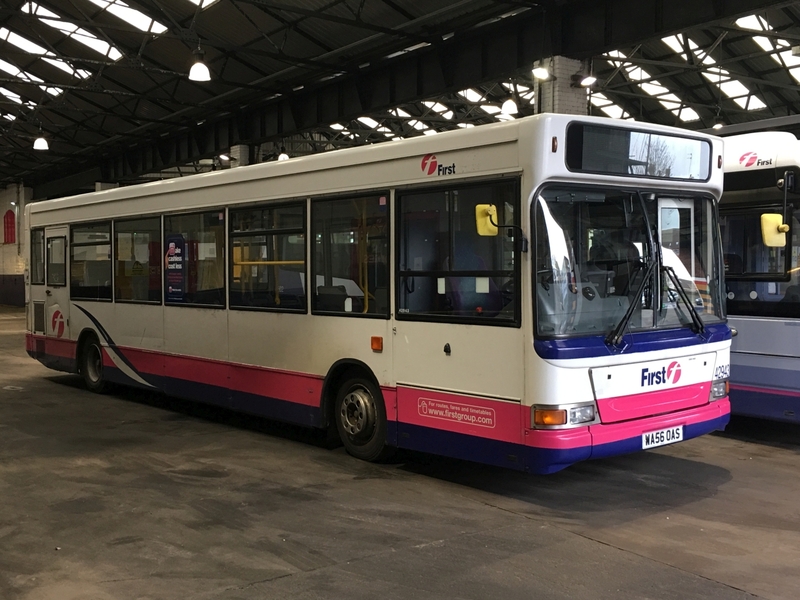 Locally owned independent Lynx has also shown an interest in providing replacement services and have stated that any they do provide will not initially operate at the frequency they do at present. Today called for a visit to the fine city and, being relieved of my shopping duties, I sought out some photo opportunities. My first photo was of a smart looking First Norwich Red Line bus in the form of 36195 (BN12JYV). 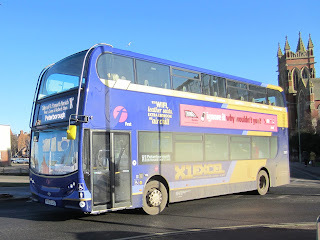 The ex First West Yorkshire Wright Eclipse Gemini 2 bodied Volvo B9TL is seen here loading on Theatre Street. With not much happening in Norwich Bus Station (apart from checking in on Omar!) I headed to St Stephen's Street via Queens Road. Before getting to the former I was quick enough to photo Freestones' YT62HZX negotiating the roundabout on the last leg of its 09:30 M16 Megabus journey from London Victoria Coach Station. Being starved of Anglianbus activity, I took the opportunity to snap Scania OmniLink 456 (AN61BUS) on an inbound Konectbus 5B city service. 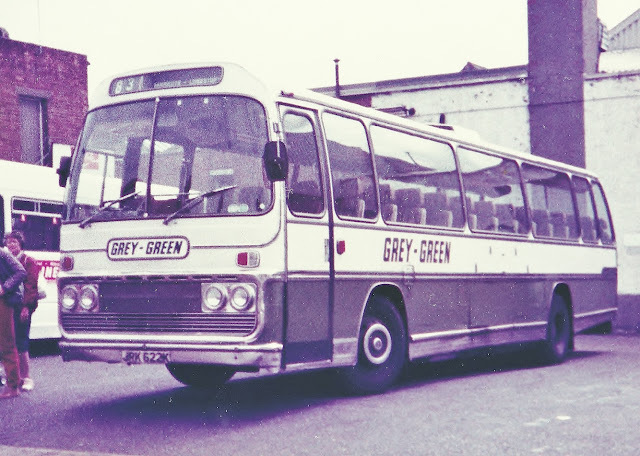 Whilst devoid of any fleet names, it still retained branding for the 61 Great Yarmouth to Kessingland service. 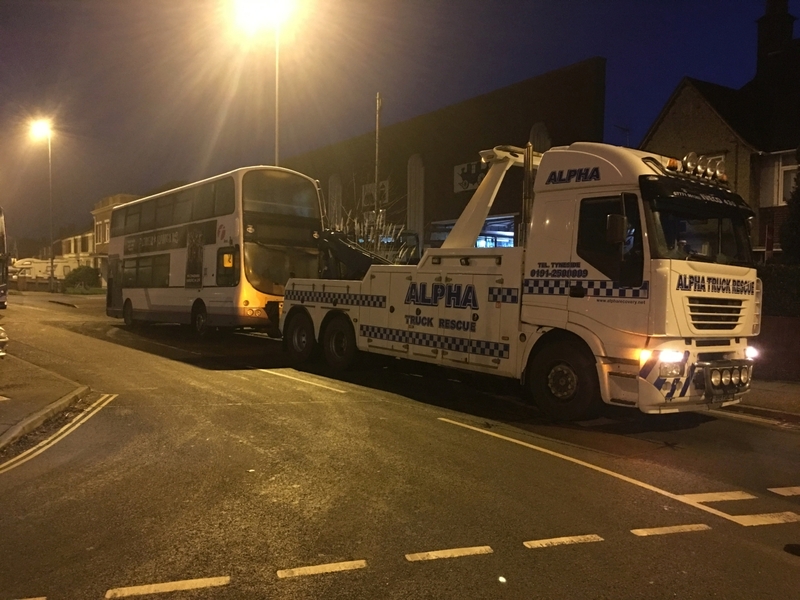 An subsequent update on the group said that 915 had been 'filled up ready for service on standby as a spare vehicle'. I thought no more of it until it suddenly appeared on Castle Meadow with the 12:10 Queen's Hill to Thorpe St Andrew 24 route, thereby attracting the attention of my camera. The photo also included 916 as a bonus! However, there were still another three of the short stayers in the Marine Parade area preparing for their return. One was National Holidays' Setra NH13DWH on Marine Parade itself. Another of the 17 plated Shearings Holidays' Mercedes Benz Tourismos made an appearance in Great Yarmouth during this weekend. BN17JUF (fleet number 919) was one of the year's intake of 29 and it was parked up on the town's Marine Parade on Saturday afternoon opposite the SeaLife Centre. After a lengthy stay at First Great Yarmouth's depot, ADL Enviro400 33821 (YX63LKL) is now back on the road after receiving a new engine. Also currently over the Caister Road pits are the two recent Wright Gemini bodied Volvo B7TL arrivals from First Borders. Both 32672 and 32675 (SN55HEV and SN55HFD respectively) are being prepared for entry into service. Our first revisited feature of 2018 goes back to September 2008 with a visit to Norwich and a look at some of the independent operators plying their trade in and out of the city. First up is a new Volvo B9TL/East Lancs for Sanders, PL08YLZ & PL08YMA were purchased in August 2008, YLZ is seen above operating the 55 service to North Walsham. Both were later sold to Ensignbus, Purfleet. Neaves of Catfield operated services into Norwich for many years starting with coaches before purchasing a batch of Leyland National Greenway conversions and various Mercedes Minibuses. The first low floor vehicle was ex Anglian Optare Solo AU03HWS seen above in the bus station awaiting its return to Stalham. Anglianbus were using Scania K230UB/Wright YN08MRO on trial and i luckily caught it in service in Castle Meadow, It also saw use with First Leeds & Bradford given number 65800 before passing to Centrebus, working in Yorkshire & Derbyshire. Eastons of Straton Strawless were using DAF SB220/Optare H843UUA on their service between Reepham and Norwich. It was new to KF Cars, Gatwick in 1990 and also used by Capital, West Drayton. Finally, Norfolk Green were still under their own management and running out of Norwich was ex Trent Optare Excel S172UAL which had been purchased from Konectbus. Seen above in Castle Meadow. 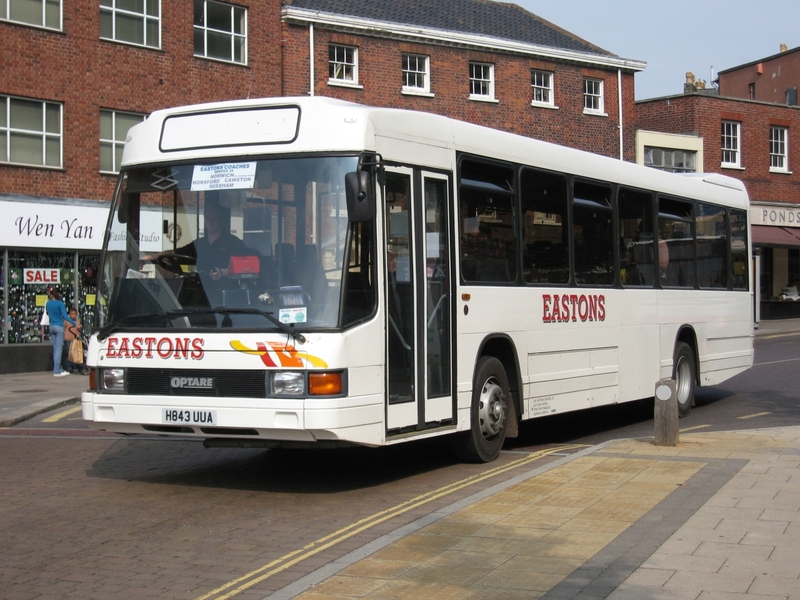 Today's Notices & Proceedings Report, published by the East of England Transport Commissioner, contains details of some changes to our local bus services. With Highways England recently startinging work on improving the A47 Lowestoft Road between Gorleston's Beaufort Way and the Victoria Road roundabout, First Eastern Counties has submitted two retrospective applications to vary existing services under short notice. 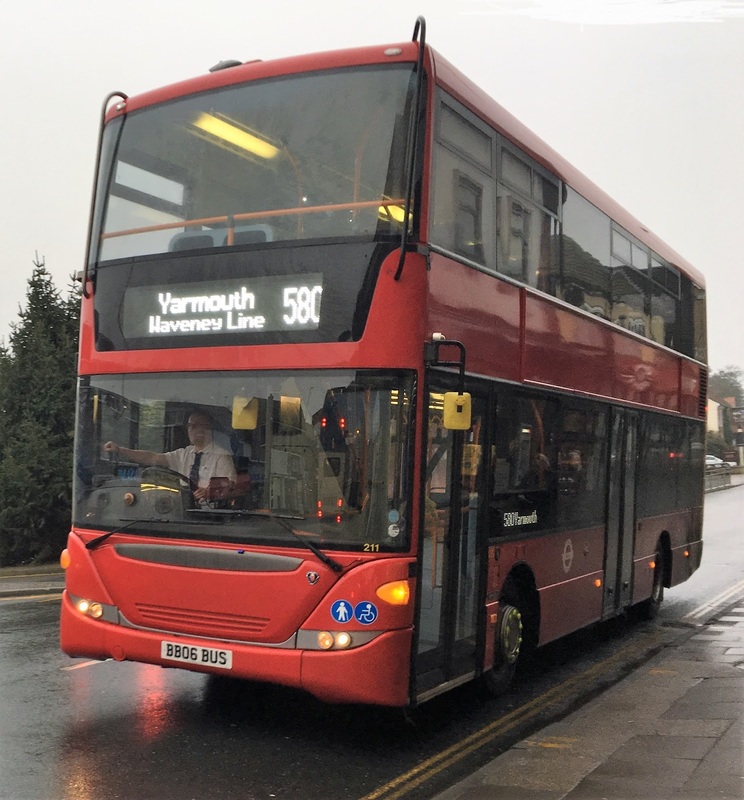 They refer to the amendment of the route, stopping places and timetable of the 8/8A/8B between Caister and the James Paget Hospital and the 9 between Market Gates and the James Paget Hospital. Both began from 8th January 2018 and will continue for the duration of the road works. Interesting news from fellow blogger Scott Poole who runs his own blog based in the Yorkshire area is that First are trialling an Electric Single Deck vehicle in York. He has kindly sent his photograph and the story regarding this vehicle. The latest vehicle to be trialed at York is this very interesting Yutong Electric saloon. It was first exhibited at the 2016 Euro Bus&Coach Expo held at the NEC in Birmingham. It was also in full Arriva livery and operated in the North West, well Merseyside, in early 2017, it later moved on to Whippet of Cambridge and then in late 2017 it was spotted working with Nottingham City Council on the electric routes. The bus arrived in York just before the close of 2017, stored until needed for trials in early 2018. With the addition of fleet number 62990 and the stylized First York logo the bus was good to go into service. Which commenced a little later then planned on Thursday January 4th 2018. 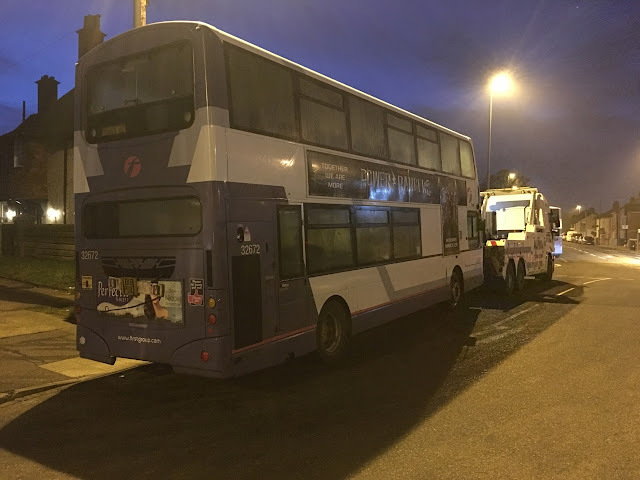 Scott caught up with the vehicle on Wednesday January 10th 2018, while 62990 was working on the Designer Outlet service 7 for the day. Yutong commenced trials of the E12 vehicle in France in 2016, with a vehicle in Paris and later Leon, were the bus performed a 13 hour day covering some 107Kms each day. As the title E12 suggests the bus is 12Ms in length, with a width of 2.55Ms. It has 16 battery power packs, nine in a pod upon the roof, while the remaining seven are housed in the engine bay area. With Yutong's own Electric motor the YTM280-CV9-H which with this vehicle 295kw/h output, with a torque range of 2,400nm, this bus packs a punch when in drive mode. For the passenger it offers reasonable comfort in the form of basic plastic seats with a thin cloth covered cushions. USB power charging sockets and information screens. With a light coloured interior the bus is functional and practical for the type of short distance services of the Park & Ride network. Many Thanks to Scott for sharing the story with us. The second Notices & Proceedings Report of 2018, published yesterday by the East of England Transport Commissioner, contains little of interest regarding changes to our local bus services. After a period of inactivity, due to events happening elsewhere within the family, I recommenced my regular constitutional today with a visit to Gorleston High Street on what was a dull, dreary and damp afternoon. I wasn't expecting to take any photos until the recent transfer from Lowestoft turned up on the service 6 to Bradwell. Luckily I was armed with my mobile phone so I got this photo of former First Cornwall Dart 42943 (WA56OAS) at the High Street stop. 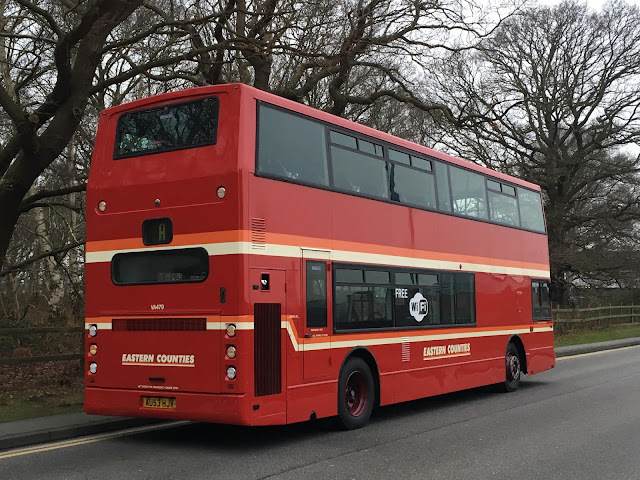 Ipswich based Volvo B7TL 32479 will now be known to most enthusiasts as VA479 and one of First's heritage liveried vehicles in the GRT style Red. It has also been named after my dear late friend Jim Long who passed away suddenly in 2016. It has been away for a repaint and returned today looking like new from the paint shop at Simon Morris in Ipswich. Many Thanks to Joe Thorpe for sending me the photographs this evening. 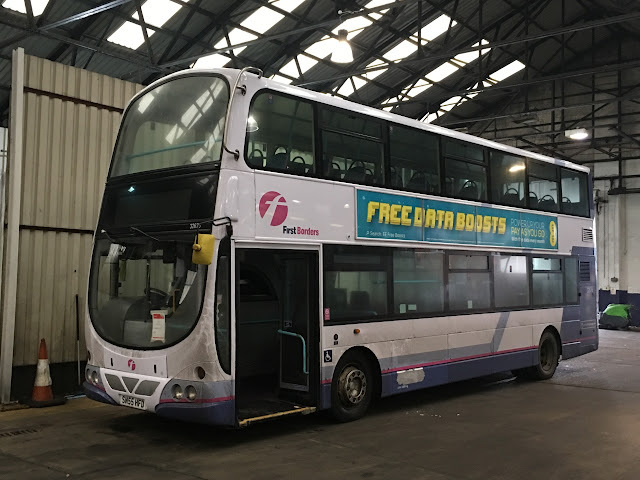 Hot off the press, the second Volvo B7TL/Wright Gemini expected from First Borders has arrived at Caister Road this morning. 32676 SN55HFD was brought down on tow by Alpha Recovery. It joins sister 32672 SN55HEV which arrived a couple of days ago. Another movement for First this morning sees Dart 42943 WA56OAS moving from Lowestoft to Great Yarmouth. Thanks to First for the Update. In July 2015 I posted this photo on the blog of a Plaxton bodied Leyland Leopard laying over at Eastern Counties Wellington Road depot some 33 years earlier.. In response to the photo I have subsequently been contacted by 'theghostbus' and the reason for the nom de plume will be quite evident when I relate his query. 'Is there anyone who could tell me more about the Grey Green service which i think was sometimes known to staff as 'The Ghost Bus'? This was the daily coach service from London to Great Yarmouth which left Kings Cross somewhere around 11pm or midnight. Any details about the service would be welcome but, in particular, I would like to discover whether it was running on the three nights of Christmas Day, Boxing Day and 27th December 1980. Many thanks to those of you helped to narrow this down. There was just the one solitary coach to report on my visit to Great Yarmouth’s seafront area during yesterday lunchtime. The coach was Shearings Holidays’ Mercedes Tourismo BF16XPC. 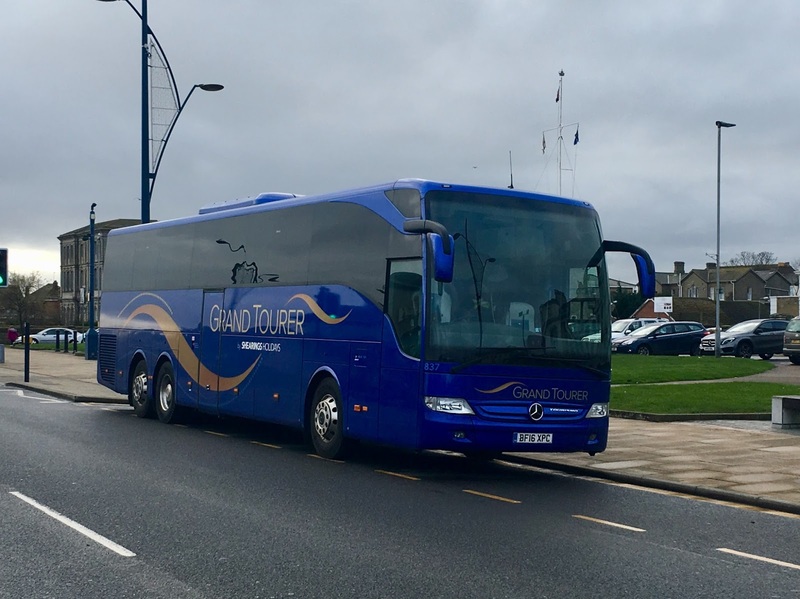 Wearing Grand Tourer livery and numbered 837 in the fleet, it was parked opposite the SeaLife Centre on Marine Parade. This morning saw the arrival of another Volvo B7TL/Wright Gemini from the former First Borders Fleet. 32672 SN55HEV was towed down by Alpha Recovery to Caister Road. 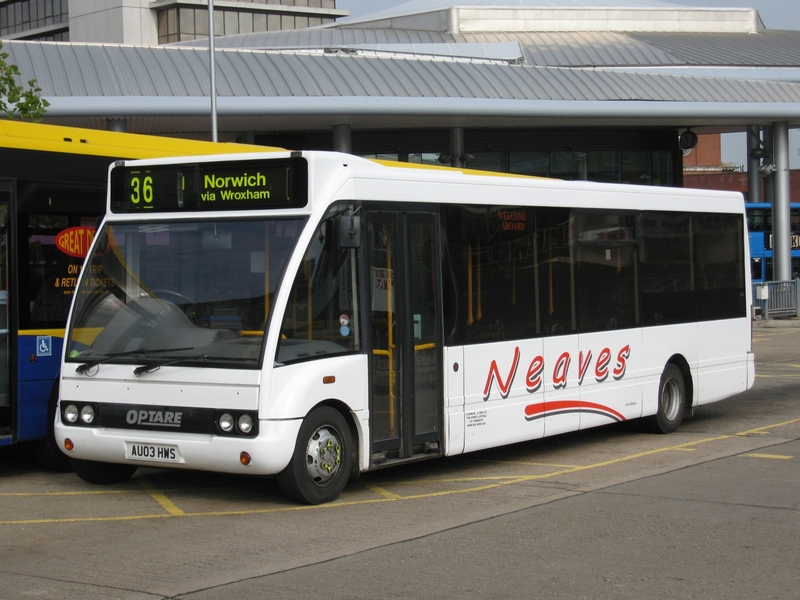 In other news, Enviro 400 33423 SN60CAA will be moving up to Norwich for EU Driving Contract duties. Thanks to Will Drake for being up and about early this morning and sending us the photos! Three of the Marretts Chariot's fleet have been offered for sale in the current Route One listings. The first is Mercedes Benz Solera SIL6705, a 35 seater acquired when the company bought neighbouring North Walsham based Bluebird Travel. The photo shows the coach in Norwich during October 2010 whilst it was still with Bluebird. The others are Mercedes Benz Vario VX54CKJ and former Shearings Van Hool bodied MX03ACV. The latter is one of five Volvos acquired from Shearings during 2012 and early 2013. The first Notices & Proceedings Report of 2018, published by the East of England Transport Commissioner, contains no details of any changes to our local bus services.